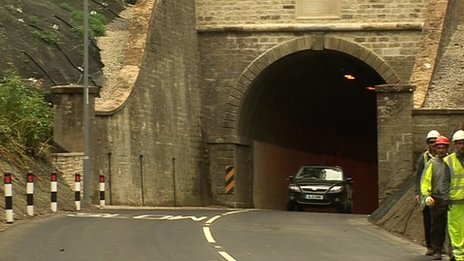 Landslip shuts main road in Argyll Jump to media player Heavy overnight rain across the west of Scotland has caused a landslip in Argyll. 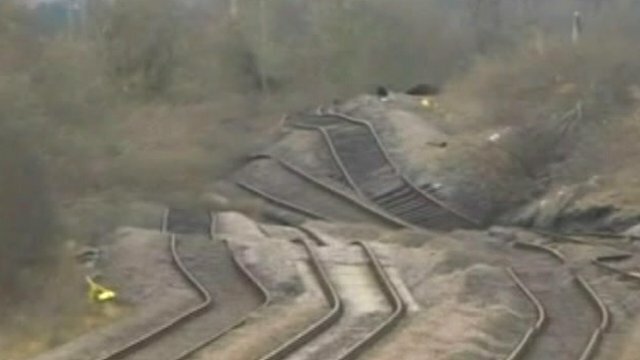 Rail line reopens after landslip Jump to media player A railway line that has been closed for five months because of a landslip has reopened. 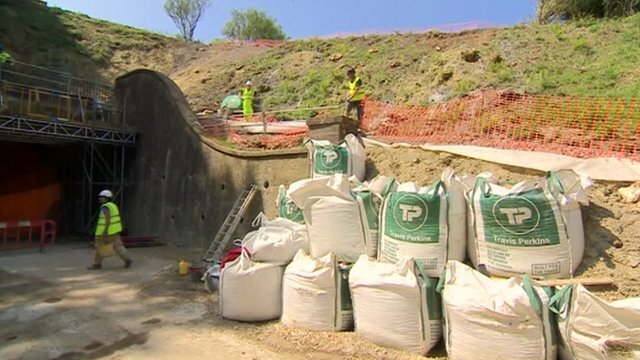 Landslip tunnel repairs hit delays Jump to media player Repairs to reopen a Dorset road tunnel, where two people from Somerset died in a landslip, are delayed further. Heavy overnight rain across the west of Scotland has caused a landslip in Argyll. 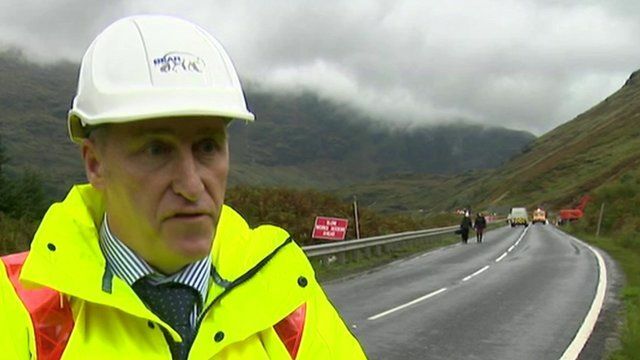 The A83 at an area called the Rest and be Thankful in Argyll has been closed after about 100 tonnes of rubble was washed on to the carriageway. Our correspondent James Cook reports.